SJOG Bro Donatus Forkan, Sr Mary Rose Doyle, Bro Liam Towmey. 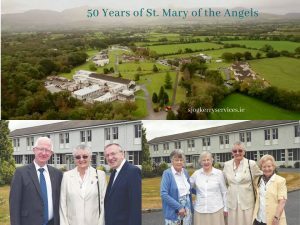 On 17 July 2018, there was great rejoicing and celebration when over 400 people residents and their families, FMDM Sisters, Saint John of God Brothers along with staff past and present and the many people who have helped and supported St Mary of the Angels over the years came together for this momentous day in Beaufort to celebrate the golden milestone of St Mary of the Angels in Beaufort, Kerry, IRELAND. We share with you the video clip of this celebration. (Photos by Don MacMonagle). The celebration began with Mass, concelebrated by Bishop Ray Browne with Archbishop Emeritus Dermot Clifford as parents, family and friends expressed their heartfelt appreciation for the wonderful care provided by the facility, which is home to 76 people with physical and intellectual disabilities. 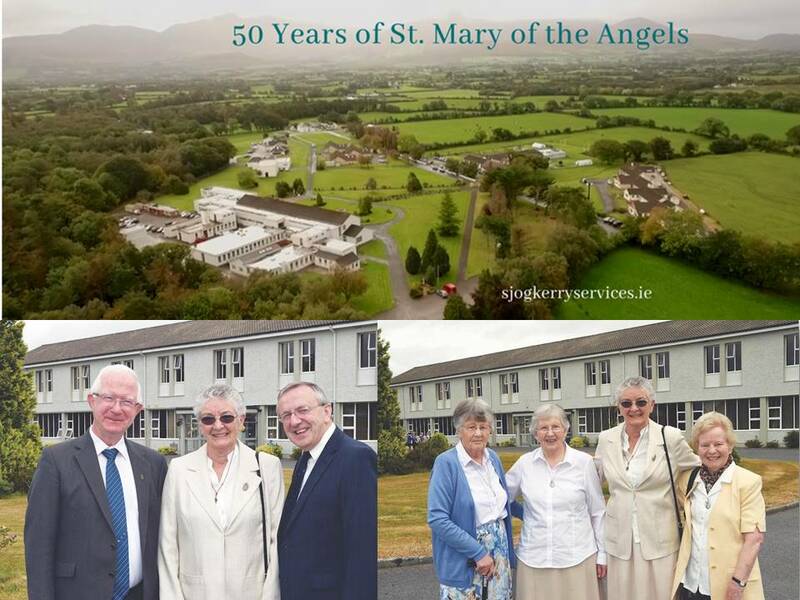 In 1968, St Mary of the Angels was built as a residential facility for children with varying degrees of disability by the FMDM Sisters on land donated to them by local couple Denis and Mary Doyle after their only child, Mary Rose joined the FMDM congregation. In May 2005, the services and ownership were transferred from the FMDM Sisters to the Hospitaller Order of St John of God. Today it is operated by Saint John of God Community Services Limited.